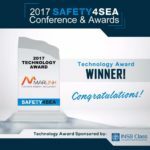 HomeMarlinkMarlink wins Safety4Sea Technology Award 2017! Marlink wins Safety4Sea Technology Award 2017! Marlink has been named the winner of the Safety4Sea award. On behalf of Marlink, Panagotis Falidouris, General Manager Marlink CG, received the Technology award based on the nomination of Marlink’s Telemedicine innovation during an award ceremony on Tuesday 03 October at the Yacht Club in Piraeus (Athens). The awards recognizes companies who have provided a significant technological achievement or breakthrough or significant contribution in any aspect of maritime safety activity. The award win gave Marlink a unique opportunity to highlight the safety aspects of having Marlink Telemedicine onboard to an audience with several senior ship owner representatives. 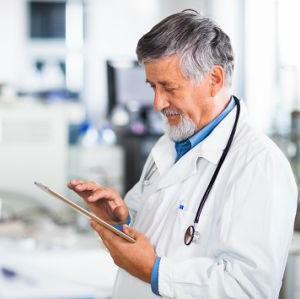 “By bringing XChange Telemedicine onboard we provide the ability of immediate diagnosis and online interaction with a doctor on shore with several medical examinations: ECG, heart rate, blood pressure, oxygen level and temperature, and even more with online video streaming for optical examination, giving the doctor vital information. 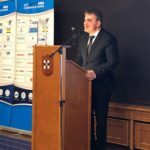 Marlink Telemedicine innovation is not only a way to make the medical security of seafarers safer but it also represents the most efficient way to protect life at sea.” states Panagotis Falidouris. For more information, please contact Knut Natvig, PR Director.